Fully translated, teased for impending release in 1990 but shelved until a whopping twenty-five years later, the predecessor to my favorite RPG of all-time is now finally out, in a legal format, for the public to enjoy. And while it is a rough games in some respects (with very awkward balance at times), it is a fascinating piece of history as well as having a unique and quirky sense of humor. Whether you're a fan of classic RPGs or just a gaming historian, you owe it to yourself to plunk down the five bucks and give this one a go. Who knows, maybe it'll help spur on an official release of Mother 3 (probably not, but I can hope). 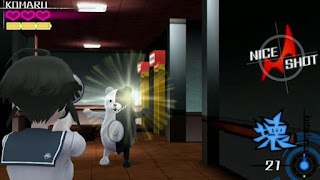 A spinoff of the visual novel/murder mystery series Danganronpa, turning the gameplay into something more akin to a third-person shooter with some puzzle elements. The end result is workable, if not especially great, gameplay. But once again, Danganronpa's true strength comes in its bizarre humor and exaggerated characters crafting a hilarious, yet captivating narrative that also manages to perfectly satire some of our more, *ahem" extreme views of social justice. It may not be what I expected of the series, but I nevertheless got a fair bit of enjoyment out of Ultra Despair Girls. Taking inspiration from many adventure titles of the '80s and '90s and having an aesthetic style to match, 2064 is a game that caught me by surprise. 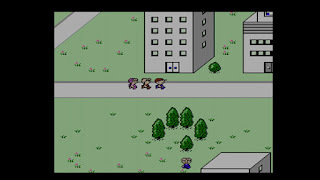 While the gameplay at its core is nothing especially sophisticated or complex (mostly just being an exercise in collecting and using items in their proper places), its well-crafted characters and interesting narrative, exploring themes of humanity and the darker aspects of capitalism, kept me captivated throughout. The fact that it also deals in political themes, yet never manages to come across as preachy, is definitely a plus as well. I think saying too much would spoil it, so I'll just say that if you enjoy games of this type with a science fiction bent, Read Only Memories is one that's well worth your time. The Arkham franchise seems to get more and more grandiose with each entry, adding in larger environments, more special moves, new enemy types and a handful of new gadgets for the player to utilize in combat and puzzle-solving. Arkham Knight is no different, though they may have gone just a tad too far with the content this time. 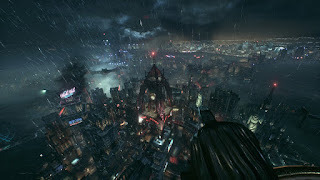 The game as a whole just feels excessive, with constant prompts reminding you of your enormous arsenal of moves, the villains's sidequests being drawn out to inanity and just a few too many stealth and Batmobile segments (which too often feel like they were shoehorned in just to provide mindless shooter/racing sequences so they could sell the game to a wider audience). The game is undeniably gorgeous to look and and still quite fun to play, but it feels like the Arkham series has finally run out of steam. A game modeled heavily after Super Metroid, which was released to great acclaim on the Xbox 360 several years ago but which I somehow never played in my entire time owning one. But with its release on PS4 and PC, I finally got a chance to make up for that, and I was definitely not let down. 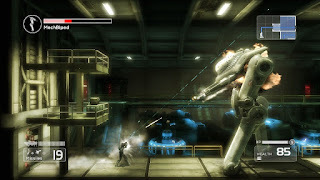 The game expertly hits all the Super Metroid gameplay notes - secret hunting, clever powerups and plenty of clever tools and weapons to utilize - while having a relatively realistic science fiction setting, story and cover shooting elements. The dichotomy there is a bit jarring, but the game is so fun to play that you stop caring after a short time. 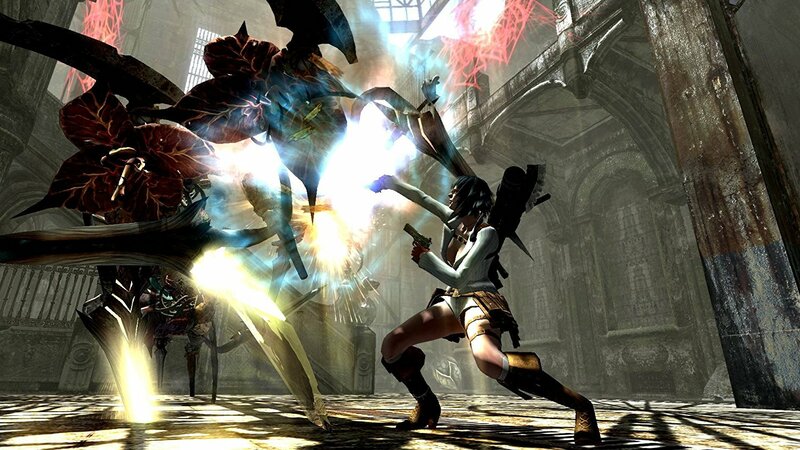 I'm a relatively recent addition to the Devil May Cry fanbase, but I've grown accustomed to its dark atmosphere, sense of humor and fast-paced, stylish and challenging brand of action after trying out the HD Collection, DmC, and now this updated re-release of 4. Retaining the two protagonists of the original version (Nero and Dante), Special Edition also adds in three more - Lady (playable for the first time in the series) and Trish come as a pair, while Vergil is the only character who plays through the campaign solo. While there are disappointingly no story scenes to accompany them, they do nevertheless add quite a bit of variety and new strategies to the mix and add more content to what is already a stellar action title. The third in Harebrained Schemes' rebooted Shadowrun franchise, and as ever, it remains a treat due to some fantastic tactical gameplay and impeccable writing that perfectly highlights the dystopian setting. Set in a futuristic Hong Kong, the scenario finds your protagonists framed for murder and forced to seek refuge with a local triad boss as you work to uncover the truth behind your assailants and their motives. 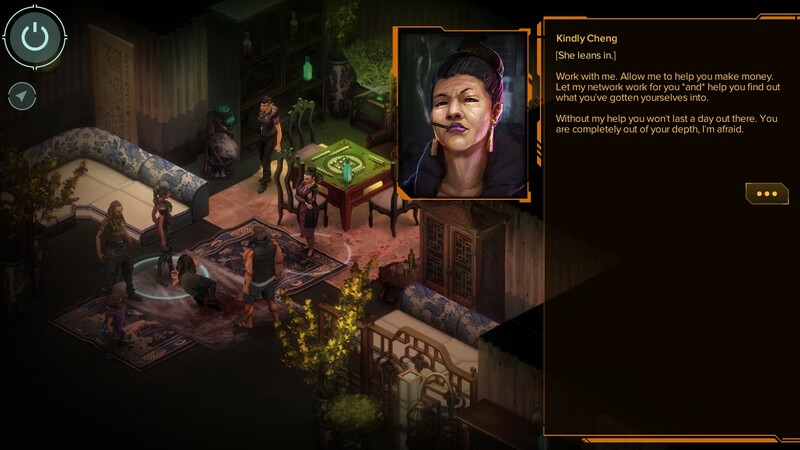 This, paired with some very strong character writing and Shadowrun's masterful blend of fantasy, science fiction and noir, make Shadowrun one of the best storytelling vehicles in the medium of video games. Majora's Mask was always one of the more controversial Zelda titles, but I quite liked it - the bizarre and surreal setting, paired with numerous clever new mechanics and tighter world and dungeon design on the whole than OOT, made it my favorite of the 3D Zeldas. 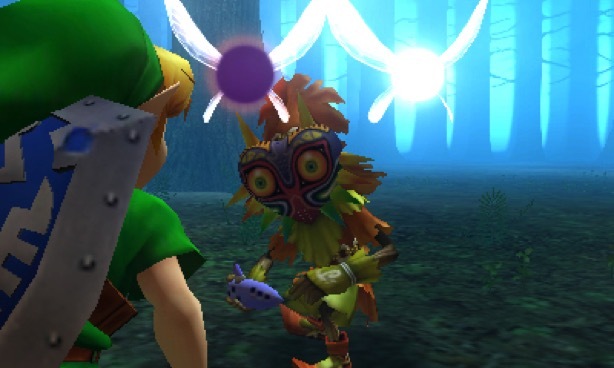 Majora's Mask 3D takes an already solid game and polishes up many of its faults, adding in the ability to skip ahead to any set time (rather than 12-hour increments), freely control the camera and even providing the player with a handy logbook to keep track of the game's many sidequests. The framerate is also polished up and many of the models upgraded to take advantage of the stronger hardware. The end result only makes a great game even better, and I urge anyone who wrote off Majora's Mask on the Nintendo 64 to give it another try here. Another Metroid-inspired title, though this one may just be the best of its kind. 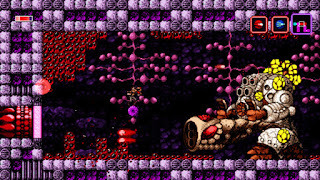 Single-handedly drawn, animated, programmed and composed by one extremely talented guy, Axiom Verge effectively captures the feel of being lost in a hostile alien world. The enemies and environments are downright eerie, there are a plethora of creative weapons and character upgrades to find (including a very unique take on Metroid's Morph Ball) and the soundtrack is nothing short of breathtaking. Axiom Verge is a sublime experience for fans of this style of game. Is it a coincidence that both of my top picks for 2015 are games designed by a single person? Probably. Is it also a coincidence that I now consider both of them among my favorite games of all time? No sir, because they are both brilliant. 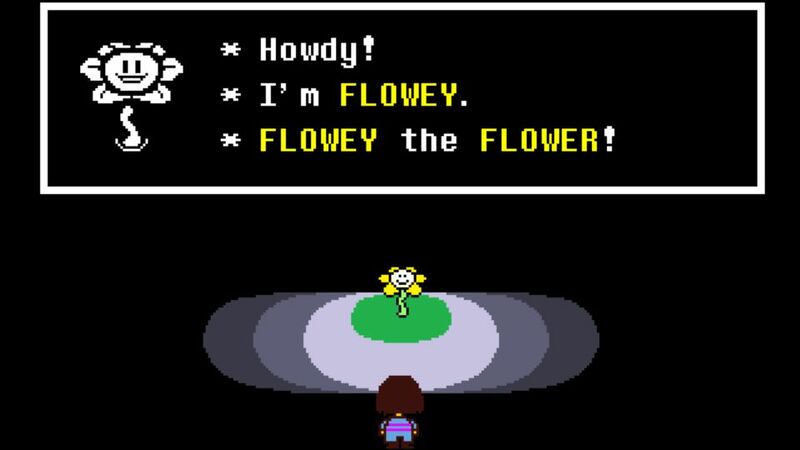 Undertale is the freshest take on the JRPG genre in many a year, giving the player free choice for how to play through the game - every battle can be ended either through violence or dialog, and the player's choices throughout affect which of many endings they will get. 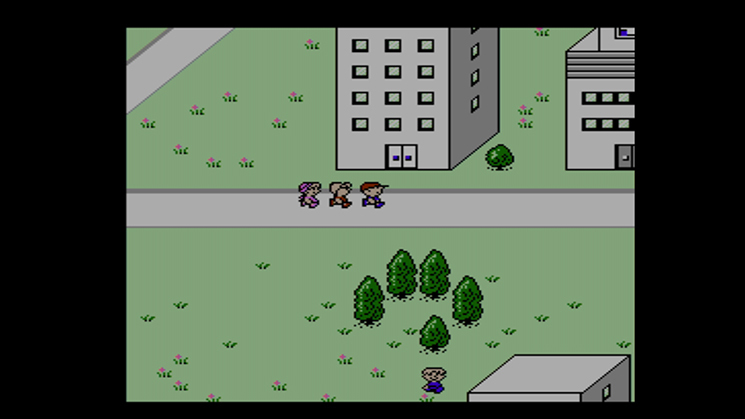 Their choices will even carry through into later playthroughs, adding a clever fourth-wall breaking gimmick to things as well. Undertale's gameplay is also unique, playing as something of a shoot-em-up in its combat sequences by requiring the player to move a small icon around a box to dodge waves of enemy attacks (which only grow more fierce as the game progresses). A work of genius on every front, Undertale is a true masterpiece and a must-play for any fan of the genre.